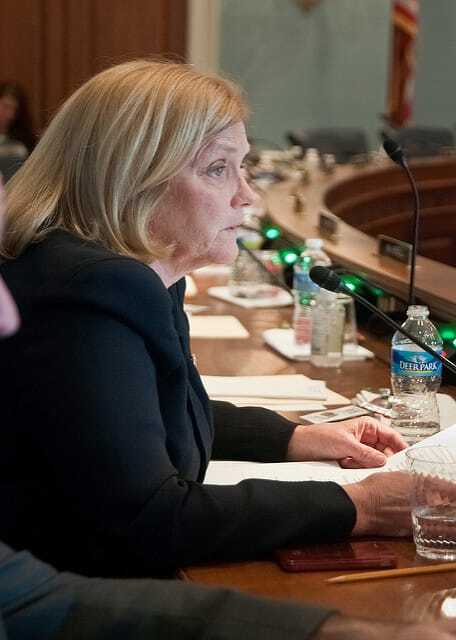 Cornucopia’s Take: After yet another delay of the proposed organic animal welfare rule, Representatives Pingree (D-ME), DeFazio (D-OR), and Kind (D-WI) released the statement printed in full below. Big Organic, and their bureaucratic and governmental supporters, have worked hard to stop the rule’s inception. While Cornucopia raised concerns about several inadequacies in the rule, it is difficult to condone the political campaign to stop its enactment and overrule the extensive review conducted by the National Organic Standards Board. 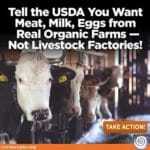 We are outraged that USDA has delayed the Organic Livestock and Poultry Practices Rule for a third time. This is not regulation for regulation’s sake. This rule has already undergone over 10 years of public process and debate. During USDA’s most recent public comment period on this rule, USDA asked commenters to choose one of four options: implement, suspend, delay or withdraw the rule. By USDA’s own admission, over 40,000 of the 47,000 total commenters supported implementing the rule immediately. Only one commenter suggested the rule should be delayed — yet, that is the option that USDA is moving forward with. It is overwhelmingly clear that consumers expect high welfare standards for animals raised under organic practices. It is also clear that organic farmers need clarity and a level playing field. We should be doing everything we can to preserve integrity in the organic label, not jeopardizing consumer confidence by refusing to let OLPP take effect. We urge USDA to listen to the public and implement the rule immediately.